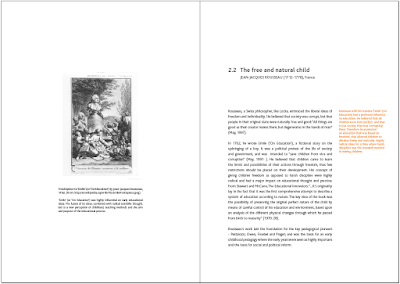 Here is a selection of pages taken from the first half of my thesis marked: 'An historical framework', and which leads on from my last thesis update: round 1. 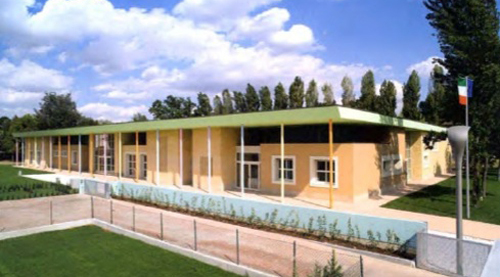 This centre’s architecture illustrates the child’s need to actively explore and interact with their environment, creating a sense of adventure, and testing the child’s physical and imaginative abilities. 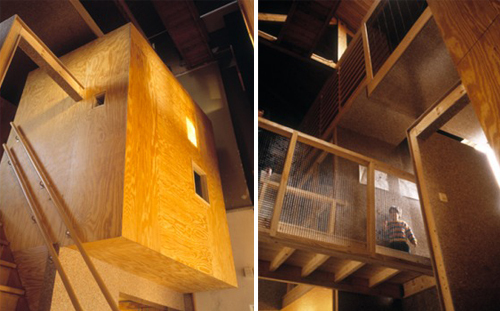 The Castle Child Care Centre, designed by Ton Venhoeven, in Souest, Netherlands in 1993 is perceived as a “day-care landscape” (Dudek, 2005: xvi). 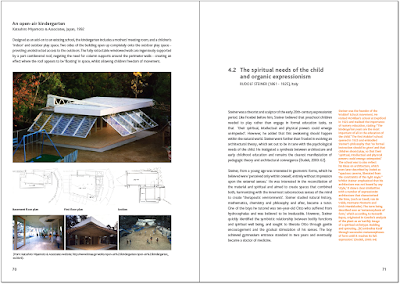 The interior environment - ramps, bridges, “hut-like” dens, different sized windows and openings, and a number of textural and lighting qualities combine to create an adventurous and challenging ‘landscape’ for the children. 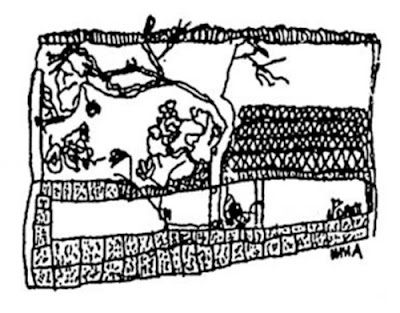 Venhoeven deliberately incorporated ramps terraces, and level changes encouraging children to climb and explore, just as they would do in a natural landscape. 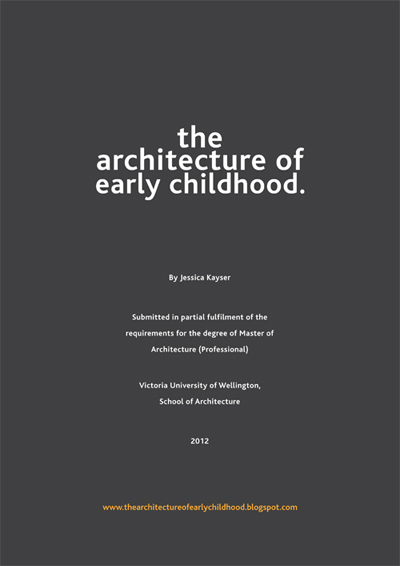 I found this wonderful archive of snippets from a book written in 1967: Creative playgrounds and recreation centers - capturing the post-war era where a number of architects and artists began to design public spaces for children's play. (It also follows on rather nicely from my previous post; The 'designer' playground). Friedberg designed this simple and flexible system of demountable and portable play equipment, which were to transform vacant lots into novel playgrounds. The elements did not require any foundations, and could therefore be placed on to any desired site. Many of the elements could also be moved or adjusted by the children during their play, therefore the playground is not a fixed structure, but is constantly changing. The play elements (here arranged into a umber of configurations) include: wooden logs, pipes and cables, slide, playhouse, sliding pole, rubber ball swings and a climbing structure of wooden logs of different lengths and sizes. 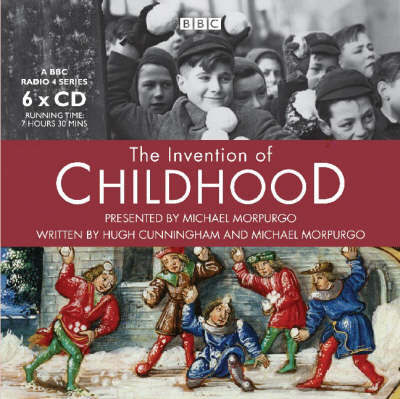 A story from ‘The Invention of Childhood’ a BBC Audio Series, by Cunnigham & Morpurgo, counteracts the widely held view that the Medieval and Victorian people viewed childhood as having ‘little significance’ and children as ‘little adults,’ and actually bears a resemblance to the attitudes of the later pioneers of early childhood education - Rousseau and Froebel. Sorry about my rather long absence - but I've been hard at work on my thesis! So I thought for now, I'd show you a wee "snapshot" of a few of the pages I've compiled so far....and keep posted, as there is still very much more to come.